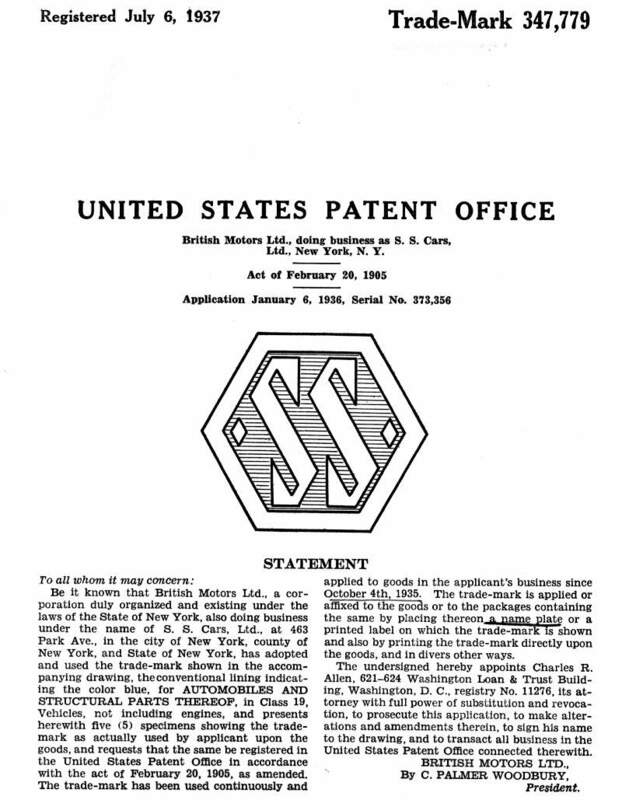 Two extremely rare copies (probably unique) of the original Trademark registrations for SS Cars created by the United States Patents Office. No other such originals are located or believed to exist. Discarded after World War II when they went to microfilm to save file space, these actual examples (together with a large number for other marques) were rescued by a CIA officer who was also an avid antique auto enthusiast. 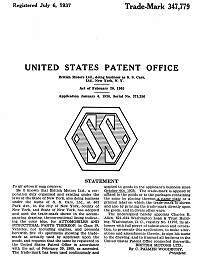 They served as the reference file for the late Harry Pulfer, a USA authority on automobile emblems. 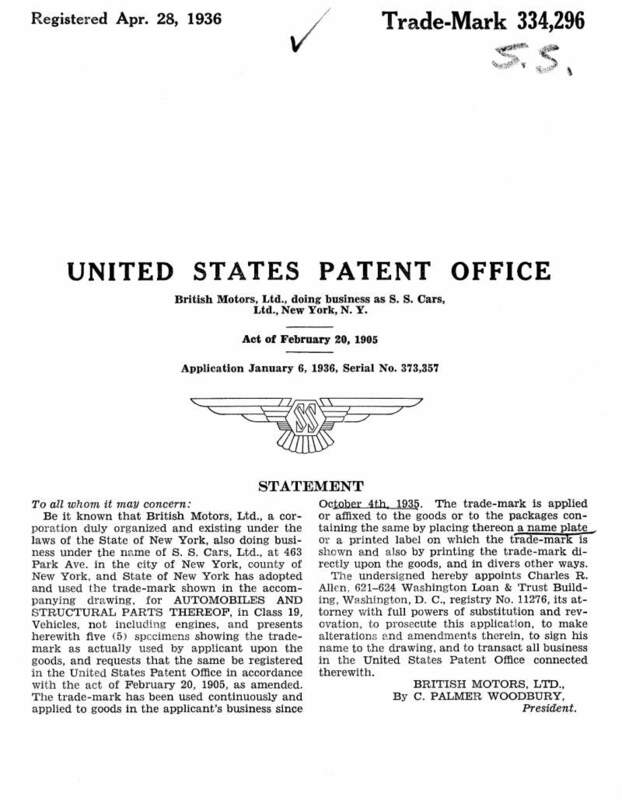 Before an automaker could enjoy full protection for the name of their car and its logo, they would (and still do) submit the information to the Patent Office. Following a search and approval, the Patent Office would set up by hand a likeness of the logo on their small letterpress and strike a very tiny number of proof imprints. These are the documents you see below. 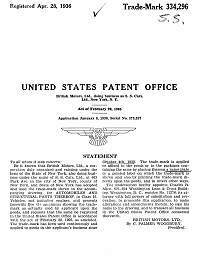 As the years passed, the number of patents and trademarks being granted in all fields grew exponentially, and the Patent Office's files burgeoned. Many of the automotive marques of the Teens, Twenties and Thirties in their files were defunct, no longer with legal currency, and no one to renew them. So some time after World War II, they and the other Depositories commenced the purging of their files, microfilming them, then discarding the original! Around the late 1950 s, a CIA. agent in the Washington area who was also a keen student of automotive history, heard of this destruction, and was successful in obtaining the originals, two of which you now see here.